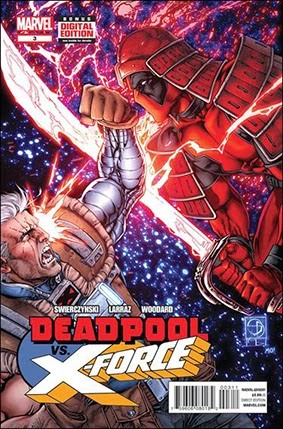 • PLOT SUMMARY: Can X-Force stop Deadpool from rewriting history? Cable chases the M w/the M to the Boxer Rebellion to try! Plus: did you know there is a character named 'Boom Boom'? Written by Duane Swierczynski. Art by Pepe Larraz. Cover by Shane Davis.